Now that Deadly Class is officially in production and is set to premiere Premieres January 16 at 10/9c on SYFY, fans are more than exited to see this popular cult series come to life on the small screen. The series captures the feelings and situations we’ve all had being teenagers and a bit of extra violence. Before it launched, Remender explained to CBR that this is a very personal story for him, rooted in his own experiences as a teenage outcast. At Kings Dominion High for the Deadly Arts, every single day is an exercise in survival with high stakes for angsty teens who are being trained as assassins. Because there is a little bit of anarchy and fleeting rebellion in all of us, "Deadly Class" is a must-read and will soon be a must-watch; especially during a time when so many are resisting against the government, just like the main character, Marcus. 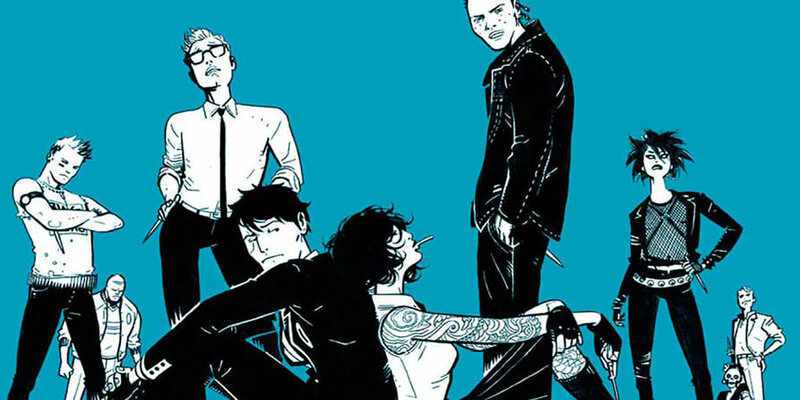 Oh, and just a quick reminder that Deadly Class is being produced by The Russo Bros. Yes, that’s right! The same iconic duo that brought us many a blockbuster film in the Marvel Cinematic Universe.